Katz says Hamas and Sinai Province cooperating in smuggling and attacks, even as ISIS challenges Hamas for control of Gaza. Intelligence and Transportation Minister Yisrael Katz (Likud) spoke on Tuesday about the morphing terror threat in Gaza, where a Salafist affiliate of Islamic State (ISIS) has recently been growing active and has coordinated activity with the ISIS branch in the Sinai. Speaking at an intelligence and special units conference which was held in Tel Aviv for the first time, Katz remarked on the relations between the ISIS groups and Hamas, which has been at tension with the Salafists. Katz stated that "between Hamas and ISIS in Sinai there is cooperation in the field of smuggling weapons and attacks," in a reference to Ansar Bayt al-Maqdis which earlier this year swore loyalty to ISIS and changed its name to Sinai Province. 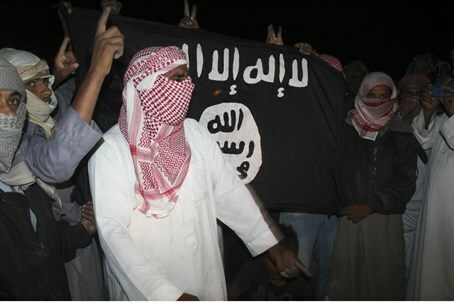 "The Egyptians know it and also the Saudis, but at the same time within Gaza ISIS is challenging Hamas. But they have a common denominator, which is their animosity against the Jews, in Israel or abroad." The claim of cooperation would strengthen charges by Egypt that Hamas smuggled weapons to Salafist jihadists in Sinai that were used lethally against Egyptian soldiers last October. Those attacks sparked a crackdown by which Egypt created a buffer zone in southern Gaza and expelled thousands of residents, all while destroying hundreds of smuggling tunnels between Gaza and Sinai. However, as Katz noted ISIS has been clashing with Hamas. Sinai Province claimed the launching of two "bombs" - reportedly 82 mm mortar shells - at Hamas posts in Gaza early last month as a response for the crackdown on Salafist leaders in Gaza. Likewise an ISIS affiliate in Gaza has claimed responsibility for several rockets fired at Israel this last month, which it reportedly did so to cause Israel to respond by striking Hamas.